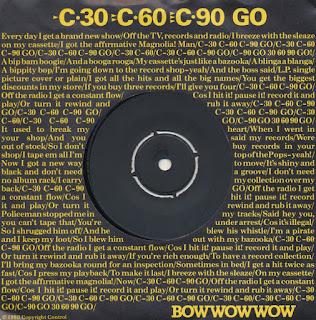 This is the debut single of Bow wow wow, released in July 1980. 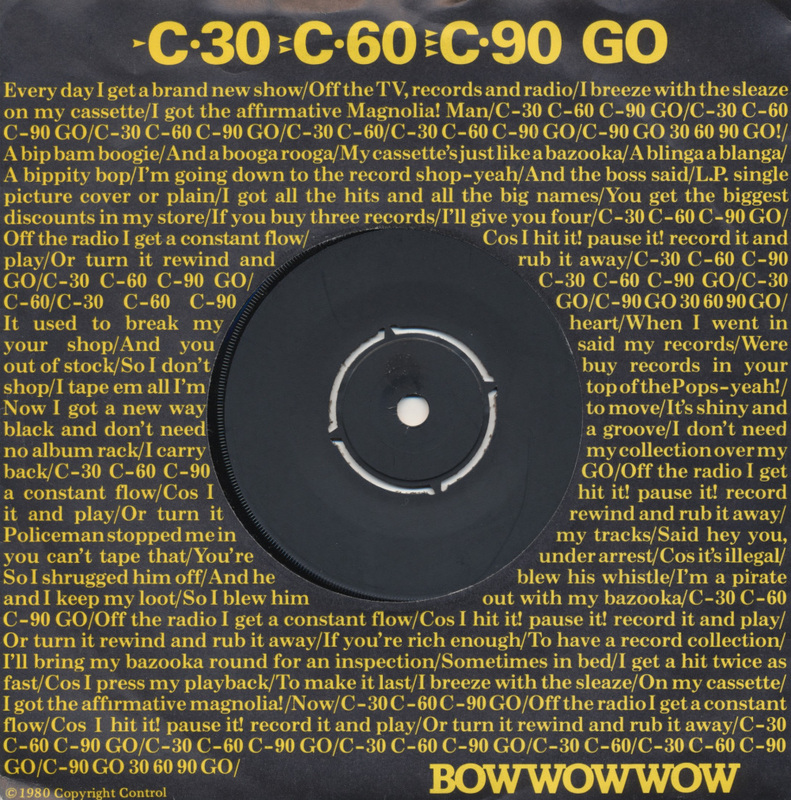 Initially it was only released as a cassette single (the world's first ever cassette single, in fact), but a few weeks later this single appeared. With a black label and the lyrics of the song on the sleeve it was an attractive design but pretty anonymous.Who were these people? The band was put together by Malcolm McLaren, after persuading Matthew Ashman, David Barbarossa and Leigh Gorman to leave Adam & the Ants. 13-year-old Annabella Lwin was recruited as the band's singer. The band's debut single reached number 34 in the UK singles chart.